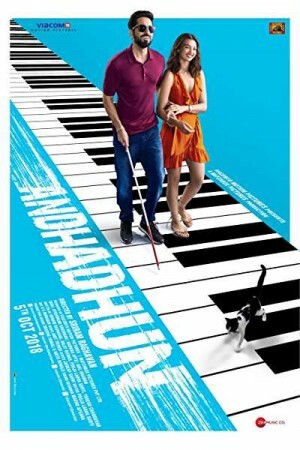 Andhadhun, an Indian romantic thriller is also a murder mystery that is witnessed by a blind pianist, played by Ayushmann Khurrana. While working in a restaurant as a designated musician, the blind man falls in love with its owner, played by Radhika Apte. While a mysterious middle-aged woman creates a havoc in their love life, the blind pianist witnesses a mysterious murder, which he should now report to the police. The movie entails how a blind man witnesses a murder, reports it, and whether the people who can see believe it or not, and whether he manages to get through the challenges put forward to get his love.